The First Machinima 4 Educators Appreciation Contest finalists are grouped into 3 categories with a fourth being the “People’s Choice”. VWBPE participants will be able to cast their votes for this last category during the VWBPE Conference beginning on Thursday March 17. 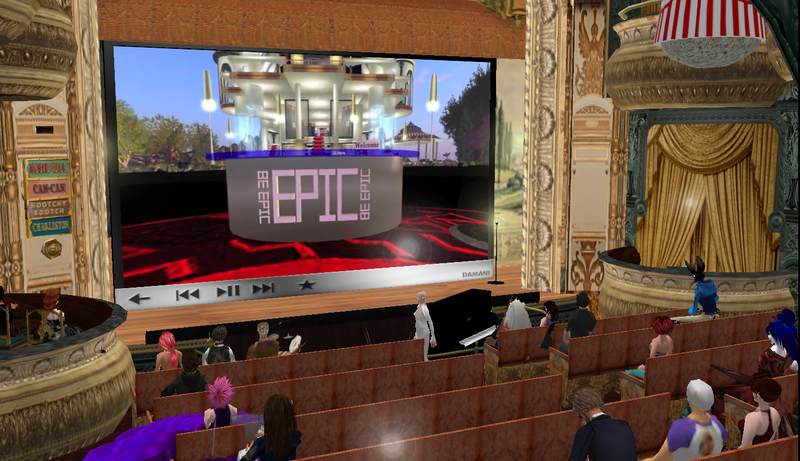 Screening of all submitted videos will be on Friday, March 18 at 8 pm SLT on Machinima (East 1) East 1/2 http://slurl.com/secondlife/VWBPE%20East%202/56/116/32. You can see ALL the entries and cast your vote for the people’s choice on the electronic Ballot. Each of the following three entries uniquely demonstrates educational media. Muinji Becomes a Man, written by Chief Mi’sel Joe is aimed at preserving and sharing the history and culture of the Miawpukek people of Conne River in Canada. SWIFT Virtual Genetics Lab is a product of University of Leicester and depicts the use of a genetics lab in the virtual world used to orient first year students in the safety and best use of the lab to prepare them for the use of the actual lab. The lab also provides opportunities for students to use the lab for what is impossible in the real world. Kansas to Cairo Projectis a blend of Machinima and traditional video and allows the viewer to become acquainted with both the real-life participants and their avatar representations in this depiction of cross-cultural collaboration between university students in Los Angeles and Cairo solving real world problems. Machinima production incorporates traditional as well as new digital and animation techniques in both capturing action and in the editing process. Click: Immersive & Interactive Art, written & edited by Lori Landay for University of Western Australia Imagine 3d Art & Design Challenge, zooms in and around stunning examples of virtual art that is immersive or interactive. Munji’j Becomes a Man is a beautifully crafted Machinima with traditional language and music of the Miawpukek people, English subtitles translate much of the dialogue. The build eloquently depicts the habitat, the animation and color provide a sense of being, and the voices of the young boy and his mentor are realistic and well synchronized. 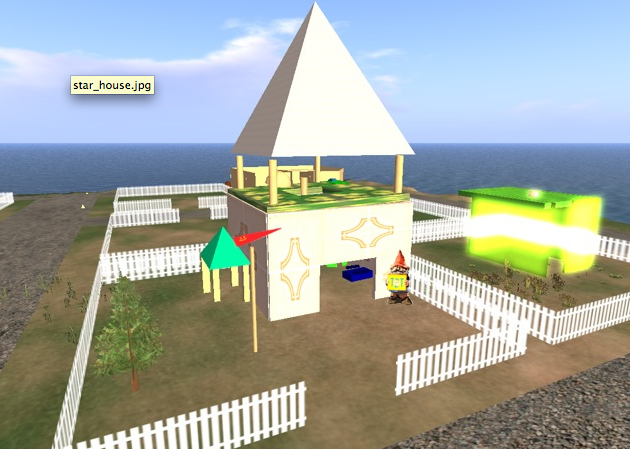 The skillful blend of cinema and machinima in Kansas to Cairo Project allows the viewer to see architectural students and their avatar representations in their collaborative work in a virtual world. Each of these machinima entries had a compelling story. Muinji’j Becomes a Man is a story about a Miawpukek boy coming of age. WB Yeats – An Irish Airman Foresees His Death is a narration of the story of the Yeats poem with the same title, filmed on the flight sim, Rise of Flight with vintage war planes. Time Travelers – Episode 1 – The Time Machine is an adventure story about teenagers, a time machine, and fighting evil in the future with sequels to describe scholarship and funding opportunities for college. Be sure to attend the screening and vote for your favorite.